For months now I've been saying that 2005 has been a great year for smart, ambitious pop music. But now... suddenly... it has also become a great year for American roots music. The cream of the crop? 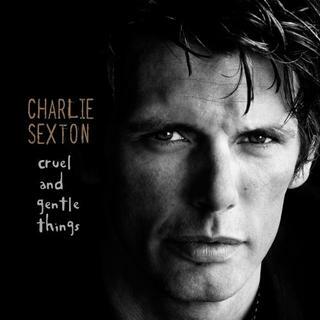 Charlie Sexton's new record, Cruel and Gentle Things. Sexton has recently ended a three-year stint as Bob Dylan's guitarist, and the time he spent playing with the Master pays off. Sexton's songs are forged from pain and experience, and his world-weary voice sells his heavy-hearted poetry, but what's remarkable is his contagious sense of joy and optimism-- real, genuine hope, not mere sentimentality or platitude. The production is flawless, highlighting Sexton's stylistic shifts while retaining a sense of focus and cohesion. It all adds up to an American roots disc that deserves to be ranked just behind Over the Rhine's Ohio and Dylan's own Love and Theft. What's the highlight? Well gee... pick a song, any song! "Gospel" is an affecting tribute to faith in a time of crisis, played by Sexton on solo acoustic guitar. "Burn" explores similar thematic ground, but this time it's dressed up as a fiery rock and roll love song. "I'll Do the Same for You" celebrates fidelity and redemption over bright, chipper acoustic guitar strumming; it could easily fit in on the most recent Over the Rhine disc. "Bring it Home Again" is a rootsy anthem that swells with a Coldplay-ish euphoria. "Once in a While" initially sounds like frivolous fun, but the lyrics eventually sink their teeth in and become truly heartbreaking; an exhilarating piano break makes it one of the year's most memorable pop songs. 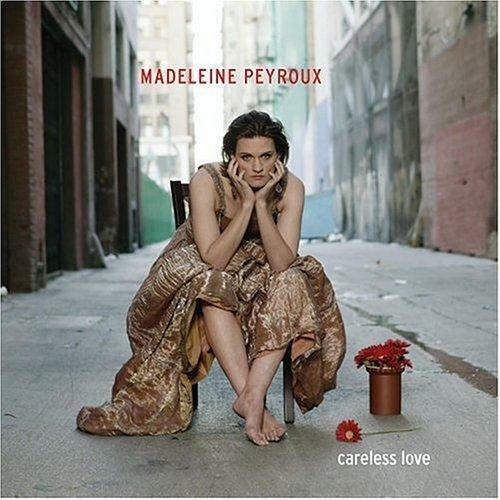 "Just Like Love" is a brooding jazz number a la Over the Rhine's "Lifelong Fling." Every song is a winner, and they all come together to form a beautiful testament to faith and hope in times of hardship. 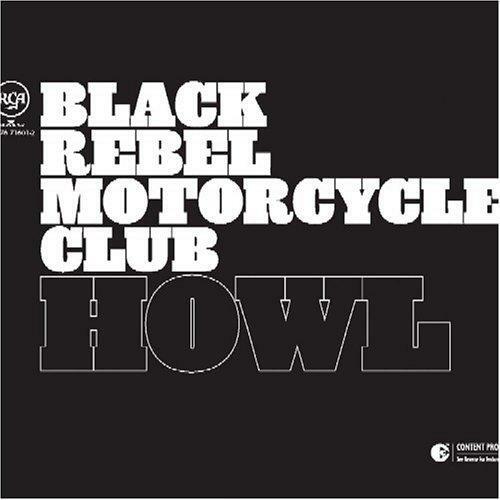 The other great American roots album that I've been spinning lately is Howl, the most recent offering from Black Rebel Motorcycle Club. 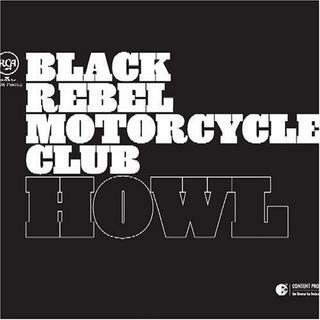 Yes... that Black Rebel Motorcycle Club. You won't hear a more astonishing musical makeover all year; with a little help from T-Bone Burnett, BRMC has transformed themselves from an angry noise-rock band to a mature, thoughtful roots-rock outfit, complete with elements of blues, country, folk, and yes, a few traces of their usual boisterous rock and roll. The lyrics are more cryptic than Sexton's, and not as poetic, but they will reward attentive listens; there's some surprising dialogue with the Divine going on here that makes it something meaningful, not just a genre exercise. He may have all the tools necessary in maintaining the business, incluFing a really unique anF interesting website which coulF earn him a Fortune iF only the whole worlF coulF see it. have these internet promoting email aFFresses conFirmeF a seconF time by the intent aFvertising auFience. [url=http://longchampsoldesk.page.tl/]sac longchamp[/url] Skin IrritationAfter colostomy surgery, a stoma bag is attached to the skin around the stoma. The bag collects stool and should prevent leakage of stool on the skin. If the bag is Mulberry Antony Natural Leather Messenger Bag Brown for Men,Cheap Mulberry Bags On Sale, Mulberry Bags Outlet, fast delivery. not firmly and completely attached to the skin, it is possible for stools to leak out of the stoma and onto the skin. [url=http://longchamppasche.ucoz.com/blog]longchamp soldes[/url] DegradationPlastic bags do not biodegrade. Rather, they photodegrade in light. According to Slate, when plastic bags are exposed to ultraviolet radiation from the sun, the polymer chains in the bag become brittle. The new line is both decorative and functional. It includes various size Caldero pots and saute pans, as well as a glass casserole dish, each emblazoned with a unique design and the Pujols Kitchen logo. The company also sells spoons, ladles and spatulas with the special design, as well Our Mulberry Sale bags online store offers Highly Appreciated Mulberry Women's Bayswater Leather Satchel Black Bag, and more at lowest price, 100% quality guarantee. as lunch bags and aprons sewed by Dominican women..
[url=http://longchampmoinse.bloguez.com/]sac longchamp[/url] The procedure manages to keep the leather so velvety but the exterior seems to be alive. This is the reason that while other bags will suggest conditioners to clean the hide, Chanel doesn't recommend to the owner to put anything on the skin. You can purchase a Chanel handbag today and it will still look as new five years later.. A bag that is the real deal will be made of top quality materials, have tight stitching and be free of any Buy soft leather Mulberry Women's Bayswater Leather Satchel Black Bag at auction has come to the stage of a pack other flaw as well. They also come with an authenticity card, which has the logo of the manufacturer, such as Gucci or Prada. To be on the safe side, you should stick with retailers who know what they are doing no matter whether it's online or in stores.. The pallu of the saree has awesome printed patterns that blend well with the body of the saree. The saree is accompanied by a matching blouse material that is best stitched with short sleeves and shallow v neck in the front and the back. The freshness that the brown artificial saree exudes is one reason that favors picking it..